Nebraska Appleseed is honored to announce that Karen X. Gómez & Maria Dávila of Columbus, Nebraska, will be one of the inaugural recipients of the Roots of Justice Award. Karen and Maria truly embody the vision of this award. Unsung grassroots heroes, these two are quietly working to build important nonprofit infrastructure in rural Nebraska and to do their part to create strong, vibrant Nebraska communities. Originally from El Salvador and Mexico – Nebraskans now for many years – their energy and spirit belie the significant barriers they had to overcome to start new lives in their chosen hometown of Columbus. While also working professionally as a real estate agent and tax preparer, Karen and Maria have dedicated countless hours to founding and developing a local nonprofit, Centro Hispano Comunitario de Nebraska (Hispanic Community Center of Nebraska). Both saw a need and opportunity to develop a community center to provide information and a means for neighbors to come together to support their community and positive social change. Both saw a need and opportunity to do more than just help their neighbors individually, but to create a community institution that could have a larger, systemic impact. 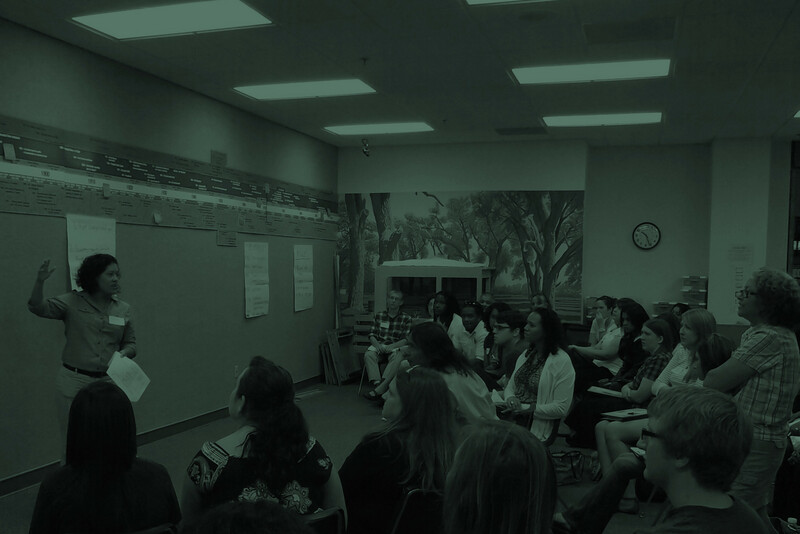 Now their events ensure that hundreds of immigrant Nebraskans are well informed about their rights and responsibilities, and bring together longtime and new residents to create a shared vision for the future. With a good deal of warmth and laughter, the two speak eloquently about what motivates them: At an immediate level, camping and fishing with family, and sitting at the kitchen table talking with their children’s friends about the importance of a good education, getting involved in the community, and helping others. And in the bigger picture: seeing people come together for a common cause, empowering people, advocating for justice for all, and motivating youth to reach for their dreams. They in turn inspire us and so many others. Nebraska Appleseed’s staff is proud to recognize Karen X. Gómez & Maria Dávila as recipients of the inaugural Roots of Justice Award. Join us in recognizing Karen and Maria at the Good Apple Awards on Thursday, September 22 in Omaha and celebrating Appleseed’s 15th anniversary. Tickets are available online for $75 each. 100% of your ticket purchase directly supports Nebraska Appleseed’s efforts to advance equal justice and full opportunity for all.